Aurora, CO. (October 26, 2018) Recently, Newstripe has been developing superior replacement filters for all manually operated Aerosol Can Disposal machines. This has resulted the new Safe2Vent Filter Assemblies. These new filters are safer, longer lasting, more economical, and environmentally friendly. Plus, they are direct replacements for all brands of aerosol can disposal systems currently available. 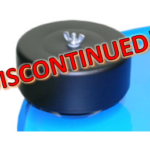 Consequently, the original AeroVent Filters – part numbers 10001940, 10001941, & 10001860 – are being discontinued and are being replaced by the new design. For more information on these new line of filters and how to select the correct one for your application, please click here or reach out to the contact provided below. 1) Purchase a replacement Safe2Vent® filter cartridge(s) or any AeroVent® 1X or AeroVent® 3X maintenance kit. 2) Enter the phrase “Safe2Vent upgrade” along with the serial number of your AeroVent machine into the “Order notes” of the checkout page. For single can models, we send you a Safe2Vent® Filter Assembly in place of a filter cartridge. For AeroVent 3 (three can models), we will send you a full Safe2Vent® Dual Filter Assembly** in place of two filter cartidges (**requires an order consisting of at least two filter cartidges). Limit one filter assembly upgrade per serial number. 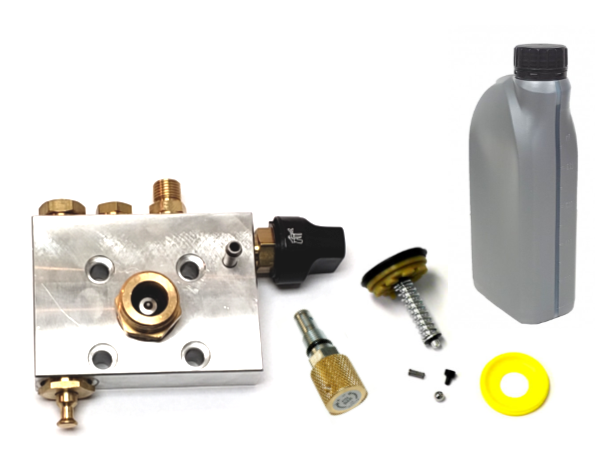 Aurora, CO. (October 19, 2018) Newstripe Inc. is pleased to announce the new money saving Airless Pump Rebuild Program for the off season. Between now and February 15, 2019, simply send your Newstripe pump to our factory, and we will completely rebuild it for only $400.00. This includes shipping, labor, new valve block, all new valves, diaphragm kit and oil change. 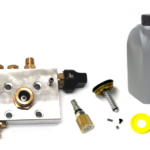 Plus your newly rebuilt pump receives a 6 month warranty. Normally this would cost $600.00, so you are saving $200.00, or 33%. Aurora, CO. (February 9, 2017) – Newstripe is pleased to announce the release of the new AeroVent™ Standard. This model features the same trusted design of the AeroVent 1X with a simplified economical filter. Designed for the low-volume budget-conscience waste generator, who does not require a cycle counter or convenience of the Viz-a-Ball indicator, the AeroVent™ Standard still maintains the highest in safety standards. The totally enclosed chamber prevents potential blow back into the operators face. The Safe2Filter carbon filter utilizes a simple check valve to close the filter when not in use for compliance with EPA, OSHA and California regulations. For more information about the new AeroVent™ Standard, please visit www.newstripe.com. Founded in 1981, Newstripe, Inc. is a family-owned and operated business with a global presence. Known in the industry for delivering extraordinary service, innovation and upholding a high level of standards, Newstripe continues to improve and expand their product lines. For more information, visit www.newstripe.com or call 1(800) 624-6706. Aurora CO: With the release of the revolutionary new HASHMARK MASTER II™, Newstripe has done it again, this time in an even bigger way. Newstripe’s HASHMARK MASTER II™ is the second installation in the HashMark Master series. The latest version unleashes the capacity to work on both high and low pressure striping machines. This unprecedented enhancement makes what many consider the best hash mark painting machine in the industry, even better. Like the original version, the HASHMARK MASTER II™ quickly attaches to most Newstripe walk-behind striping machines. Using the machines own spray gun, one person can paint hash marks five times faster than most other methods. The operator follows the automatic measuring guide from one hash mark to the next, paints it and moves on. It is that simple. 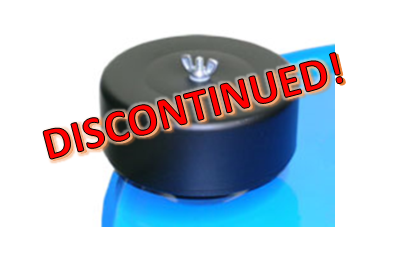 Plus, being priced as low as $495.00 the HASHMARK MASTER II™ will pay for itself the first few times it is used. 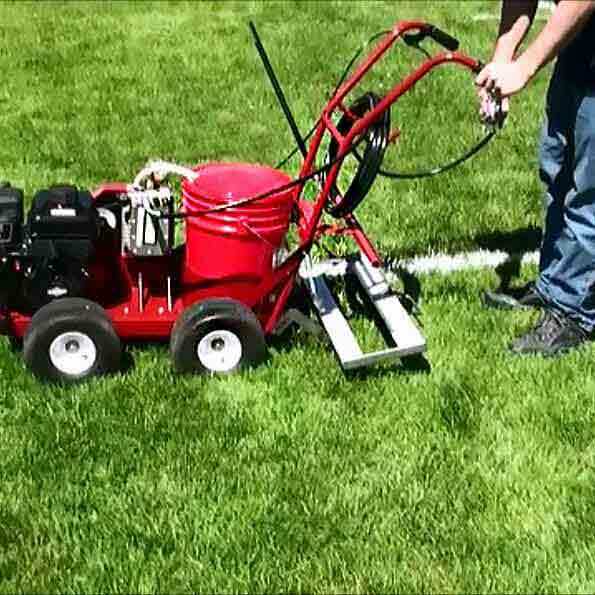 As the pioneers in football hash mark painting innovation, Newstripe continues to meet the challenges and needs of its customers. Go to newstripe.com for more information on the HASHMARK MASTER II™ and other hash mark painting products. Founded in 1981, Newstripe, Inc. is a family-owned and operated business with a global presence. Known in the industry for delivering extraordinary service, innovation and upholding a high level of standards, Newstripe continues to improve and expand their product lines. For more information, please visit www.newstripe.com or by calling 1(800) 624-6706. Aurora, CO: Newstripe, Inc. announces the launch of the new Safe2Vent™ Drum Vent Filter. 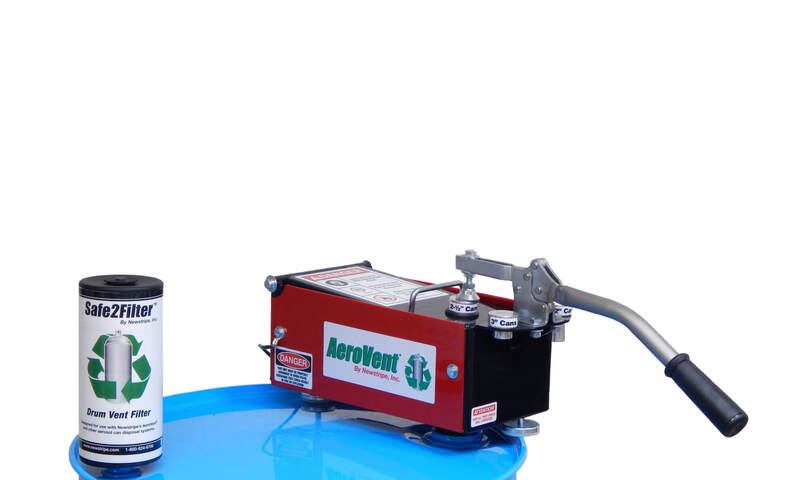 It is the world’s only aerosol can disposal system filter with the Viz-a-Ball™ indicator to show when the unit is completely depressurized and safe to open. This revolutionary design keeps the operator safe by complying with OSHA, EPA and California regulations which require a closed drum and the prevention of vapors escaping into the atmosphere after processing. 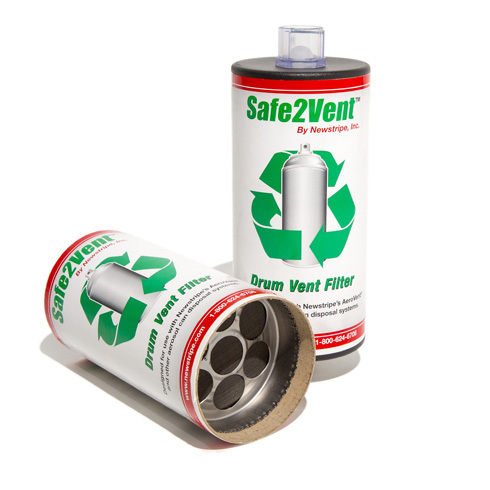 The Safe2Vent™ is compatible with all manual, single can aerosol disposal systems, making any unit safer to operate. Additional carbon media, replaceable cartridges, and a lower price than competitors make the Safe2Vent™ more cost effective than any other drum vent filter. Newstripe Inc. is pleased to announce, that in June 2015, it purchased all manufacturing assets of the Campbell Hausfeld Airless Pump Division and moved them to its Aurora, Colorado manufacturing facility. Newstripe is now in full production, manufacturing the high-pressure airless spray pumps and all related parts and components. Newstripe also intends to market OEM replacement parts for the pumps previously sold by Campbell Hausfeld. It is estimated that 40,000 of these pumps are still in use.